Earlier this autumn, I got to visit Pacific Northwest National Lab in Washington state, where they invented a better battery known as the third-generation flow battery. 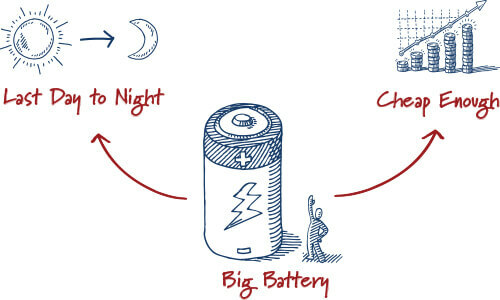 Why do we even need a new kind of battery? At ClearPath, we’re focused on clean energy you can turn on and turn off. Solar and wind can’t do that now. But with better batteries, they could do that at least some of the time. This would partially (but not fully) address the variability of wind and sunshine. Experts worry about this variability becoming difficult when solar and wind generate a large share of our yearly electricity, somewhere around 30-60% of an electric grid. Enter the better battery. Note, this threshold isn’t coming soon: in 2016 solar and wind generated just 6.5% of America’s power. Some countries have a bit higher thresholds today but they either are mainly powered by hydropower (Costa Rica) and geothermal (Iceland) rather than wind and solar or have massive imports to balance renewables (Denmark). We’re already on the path to perfecting lithium-ion batteries, like those in Tesla’s cars and PowerWall, and in your smart phone. But lithium ion has inherent limitations when it comes to meeting the big and cheap criteria. 2. Because of the constant cycling supporting solar and wind, the battery lifetime is short and starts to degrade after 5-10 years. That’s why the Department of Energy is exploring flow batteries, which at their most basic level are vats of chemicals used to store power. The materials are often cheaper than lithium and can last for 20 years or more with no power degradation. This research has led to an exciting new battery start-up called UniEnergy Technologies. 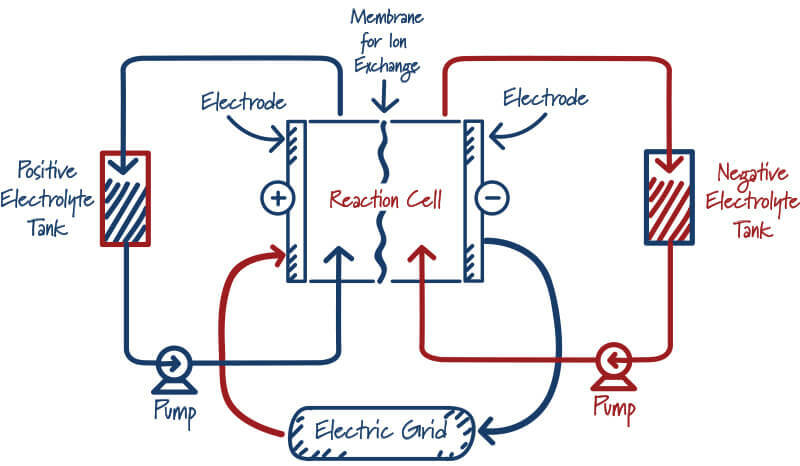 The major innovation came when researchers at Pacific Northwest National Lab invented an advanced vanadium flow battery, with a novel use for hydrochloric acid. This technology can be built for the same cost as lithium-Ion, but the lifetime cost is half as much since it lasts twice as long. The inventor, Gary Yang, was persuaded in 2012 by Bolong Capital to turn his invention into a commercial reality with an injection of $30 million. Our national labs licensed out the technology and UniEnergy Technologies (“UET”) was born. This is the perfect example of how innovation in our national labs can spawn new industries and businesses and how public investment can lead to private investment. 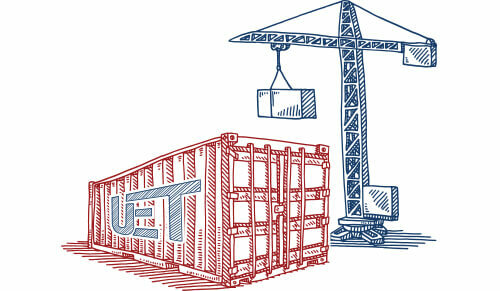 UET is making sales and building products, but it is an uphill climb. Why? For the most part, U.S. markets don’t value the “clean” energy batteries produce, or the long-term benefits of a better technology. This is quite different in China. For example, in 2012, the advanced storage start-up A123 went bankrupt because it was hard to scale up while competing with already-mature lithium batteries. The same thing happened this year to another advanced storage company, Acquion. Both A123 and Acquion were subsequently bought by Chinese companies, with A123 selling for $450 million to Wanxiang. paid to build in China. Chinese companies are throwing their weight behind advanced technologies and helping them scale up because the payoffs are so big. Competing against energy incumbents is so difficult even for superior technologies. They need support to commercialize. China is planning for the long term and will scoop up the technologies we invent and ignore. To use one of my favorite phrases by the Great One, they are skating to where the puck will be. We aren’t. Earlier this month, China’s National Development and Reform Commission announced new subsidies for energy storage companies. So what will happen to UniEnergy Technologies? So far they show the promise of what happens if we get energy technology right. A Chinese company is paying to import American technology, contracting UniEnergy to help them build the world’s biggest battery using old technology and licensing UniEnergy’s advanced technology to build better there. And UniEnergy is building many projects in the U.S., including a massive 200 MWH military battery project. What’s wrong with this picture? How about the part about Asia and Europe offering backing and help with manufacturing? We don’t have the right financial markets for commercializing breakthrough technology, nor the right policy support. China and Europe do, and this will make it hard for us to become a hub for advanced energy start-ups. It doesn’t hurt that China is the world’s biggest market. This is exactly why strong technology policy, including low-cost financing or technology-neutral, innovation-focused incentives, is so important. The export opportunity is huge. And if we don’t invest, we’ll be buying from China instead of them buying from us. UET’s story shows how national labs are so important to unravel tricky science and energy questions for technologies like flow batteries, and how critical it is figure out our policy for the last mile of getting to market. If we want to compete with China in the massive energy tech space, we have to address market failures that don’t value attributes that we want or allow companies like UET to make it without selling their intellectual property. Otherwise we are just subsidizing Chinese R&D efforts by doing the hard, tedious early stage work and then letting them scoop it up. We have the inventors and innovators. Now we just have to stop ignoring their potential.